Fauldhouse is a large village found close to the extreme south western tip of West Lothian. The village has an upland setting and just to its west, between Fauldhouse and Shotts, is the watershed between waters draining west towards the Firth of Clyde and those destined for the Firth of Forth. For somewhere standing in almost the exact centre of Scotland's central belt, Fauldhouse has a surprisingly remote feel. Access from the A71, less than a mile to the south, is indirect, and while the M8 motorway is less than three miles to the north, when it was built in the late 1960s the locations of the junctions were not planned with access to Fauldhouse in mind. 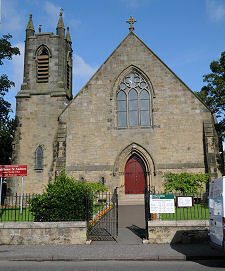 The village is, however, served by the railway line that links Glasgow and Edinburgh via Shotts. The name of Fauldhouse comes from "house on the fallow land", perhaps a reference to the upland location. There appears to have been a farmstead here in the middle ages on which dairy cattle were grazed: it is recorded as supplying butter and cheese to its owners, the Knights Hospitaller of the Order of St John of Jerusalem based at Torphichen Preceptory. In the 1600s the small settlement here was labelled at "Falas" on a map, and this appears to have been an alternative name (or, perhaps, a phonetic rendering of the way visitors heard the name being said) until the establishment of a post office in the mid 1800s fixed the spelling of the name as Fauldhouse. 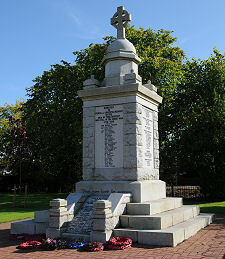 There are settlements in both West Lothian and North Lanarkshire whose character and heritage were formed by an association with a particular industry during the 1800s and 1900s. Fauldhouse is slightly different in that it lay near the boundary between areas in which different extractive industries predominated, and as a result the village and the much abused landscape around it were subject to the impact of a number of different processes. The presence within the village of the Fauldhouse Miners Welfare Club is a clue to one of them. Fauldhouse lay towards the south eastern edge of a coalfield that extended under North Lanarkshire and beyond. Mining commenced from the mid 1800s in a number of pits sunk to the west and north of the village, and continued into the 1950s and early 1960s. Meanwhile land to the east of Fauldhouse formed part of the West Lothian oil shale field, and an oil extraction plant was established a mile south east of the village in the latter half of the 1800s to process locally mined oil shale. The surrounding landscape was also rich in ironstone, extracted to feed the iron works at Shotts, and there were limestone and sandstone quarries in the area. Some of the quarries remain in use, but the deep coal mines and oil shale mines have all been gone for over half a century. Extensive afforestation in the area has done much to conceal some of the scars of the industrial past, but Fauldhouse itself continues to give an impression of having been left slightly behind in the closing decades of the 20th century. Having said that, anyone who takes the trouble to visit finds a large village with a lot of character, and a core that is surprisingly attractive. 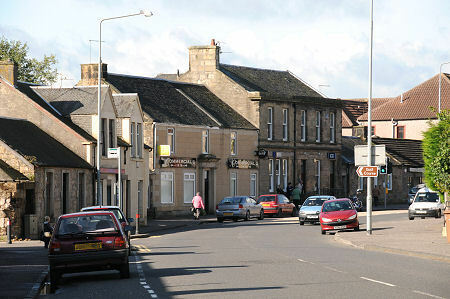 A triangular green with plenty of flowers and trees provides a focal point where Main Street meets Sheephouse Hill, and Main Street itself is home to some attractive buildings, as well as some that are not. 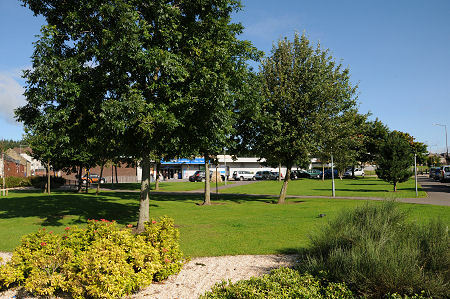 Overlooking the green is Fauldhouse's modern Community Centre. Elsewhere in Fauldhouse there are some unexpected finds to be made. Sheephouse Hill is home to the extremely impressive Crofthead Primary School building, while hidden away amid housing is Eastfield Park, home to Fauldhouse Victoria Cricket Club.